It may sound obvious, but when you’re filling in the shipping address field don’t make a mistake. Typos or errors can and do delay shipping. Plus, don’t neglect your postal code! Every digit needs to be correct for smooth shipping. Check out this video to understand how important your postal code is to the delivery process. Every retailer determines their own shipping deadlines. These deadlines are based on a set of factors that includes the company’s logistics capabilities, the resources they have for filling orders, and their delivery carrier. Most retailers include on their websites the cut-off dates for buying products that will arrive before the big day. To ensure you don’t miss a delivery, or to keep your gift delivery a secret, consider using Canada Post’s free FlexDelivery service. This service allows you to have your online orders delivered to a post office of your choice, such as near your work. Your parcel will even be kept in a temperature control setting, so there is no risk of exposing sensitive items to frigid temperatures. You can sign up for FlexDelivery at our website. The process only takes a few minutes. The address field needs to be complete, correct and clear. That means include the right postal code and ensure your writing is easy to read. Double-check to confirm you didn’t make a mistake. Also, it’s best to print the address on the largest side of your package. You can look up postal codes with our website tools. If you’re going to drop off a parcel at a street letterbox, you must use correct postage. Packages with incorrect postage will not be delivered. Rates are determined by the size and weight of your parcel, as well as its destination. You can use our online tool to look up rates based on this information. You can also visit a post office. 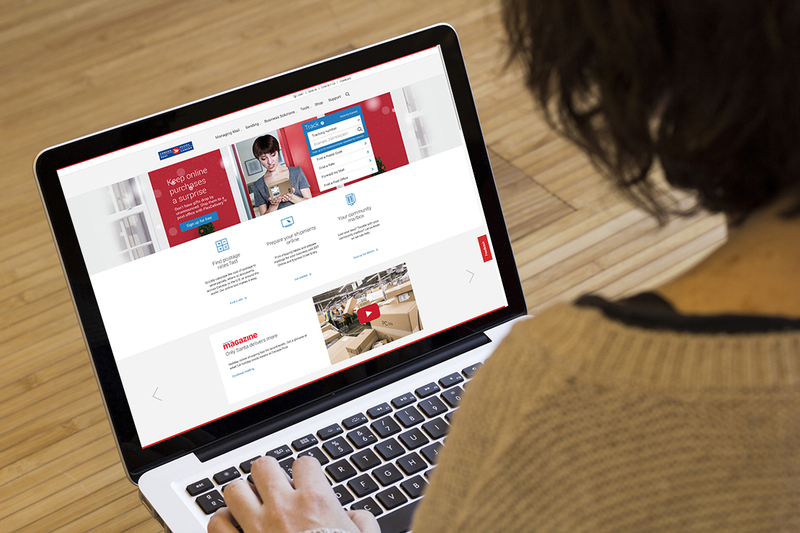 Use our online tool to find your closest post office. We are now offering prepaid flat-rate boxes available for purchase at select post offices. You can find out where to buy them here. 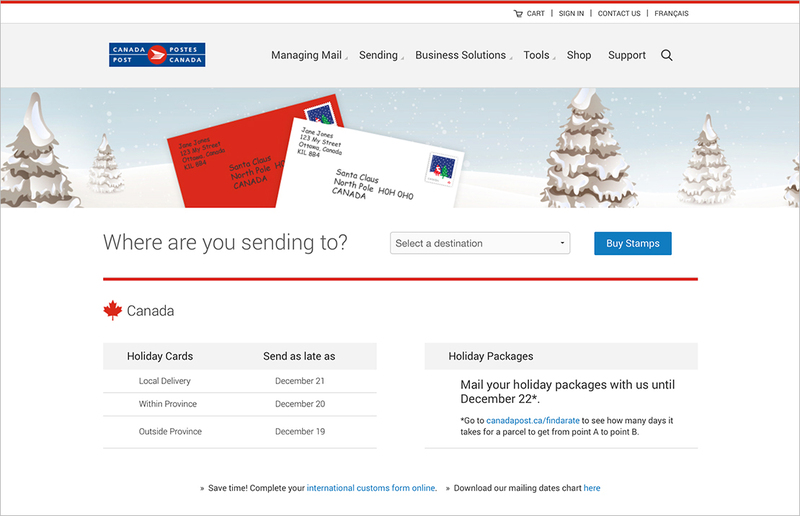 Canada Post can deliver your parcels by Christmas if we receive them by December 21 – or December 22 if your package is being shipped between major urban centres. To determine the delivery time for your parcel, you can use our online rate look up tool, which will also show you the pricing options that are available to you. Or you can always visit your local post office. Don’t use string – it can get caught in our machines. Use durable boxes – if you don’t have something adequate on hand you can buy boxes made for shipping at any post office. If you are reusing a box, ensure it doesn’t have an old barcode or shipping label on it as they can interfere with scanning. Use packing tape – regular household adhesive tape can easily peel off. Also, the dimensions of the box is one of the factors that determines the price of shipping. So to save some money this holiday season, remember to pack tight!